Brian Gentil caught up with Brent Willoughby from the Waihi Association Football Club to find out what's happening on the local soccer scene this weekend. The Waihi Seniors have a home game against the Melville Knobs at Morgan Park at the slightly earlier time of 2 pm. Waihi Junior Football with the college teams kicks off their competition at the beginning of next term and the littlies under 12 will be heading out on the field this Sunday morning. Brent and Brian also commented on the Europa Cup and how the teams are performing so far. Tune in on Monday morning at 7.40 for results and highlights. Listen in to our podcast to hear Brent and Brian talking about how the season is shaping up and find out how many years Brent has been associated with his local club. 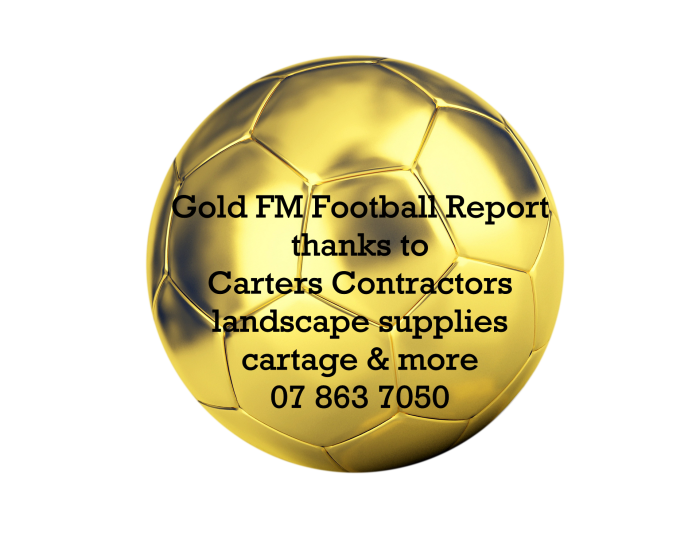 Thanks, Carters Contractors - your one-stop shop for landscaping supplies and cartage for supporting football.